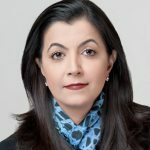 This is the first in a series of guest posts from Mohini Singh, ACA, Director, Financial Reporting Standards, CFA Institute. Despite its presence and use for several years now, XBRL has not achieved its full potential for either investors or companies in the United States. One reason is companies continue to see structured data as a compliance and cost burden and they have shared these views with regulators. Securities regulators worldwide are examining costs and some of what’s been learned may be particularly relevant to them. Our paper, The Cost Of Structured Data: Myth Versus Reality, summarized herein examines the costs that companies, large and small bear in preparing and filing their financial information in a structured format and what can be done to mitigate those costs. CFA Institute, an investor organization, seeks to address this issue so that all parties—preparers, regulators, and users—can avail themselves of the various benefits of structured data. We began our study by examining what companies are saying about the costs associated with their XBRL filings. We then went through several case studies on large and small publicly traded companies as well as non-profit organizations. One of our major takeaways is that the way a company implements XBRL reporting—that is, whether the work is outsourced to a vendor or done in-house—directly affects its costs and that cost reductions can be achieved by bringing the structured reporting process in-house. The current manual processes used by companies to assemble and review reports requires both time and money. 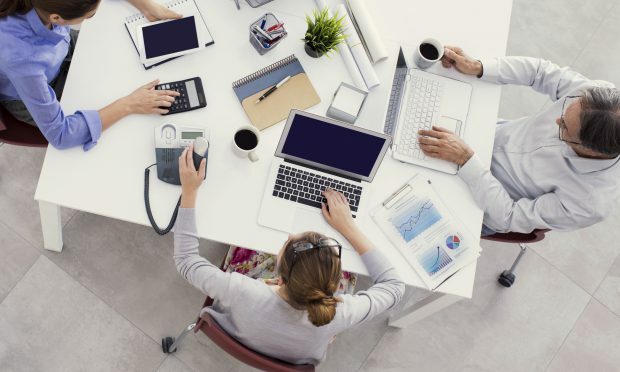 These processes can be streamlined if companies standardize their data, which may be housed across disparate data sources in-house, early in the reporting process. When data are standardized, disclosure management applications can pull information from disparate data sources to write automated reports, enabling the streamlining of current labor-intensive processes. Such standardization not only saves companies time and resources but also reduces data errors because of less manual intervention. However, companies continue to view structured reporting as a compliance exercise. As a result, most companies do not structure their data into a machine-readable format at the source early in the financial reporting process. Instead, they follow a two-tier process whereby filers outsource the tagging of their data as an additional step, after their financial statements have been prepared simply to fulfill their regulatory filing requirements. Consequently, structured reporting is not producing the intended results—that is, (1) increasing the speed and frequency with which financial information is prepared, reported, analyzed, and used and (2) reducing costs. The benefits of in-house implementation are illustrated through a case study of Wacoal Corporation, a global women’s apparel manufacturer. That the Wacoal example is “vintage” demonstrates just how advanced the company’s implementation really was at the time. Companies today are using disclosure management tools that do all the things the Wacoal Corporation was able to accomplish. In what might be called this innovation vacuum, software developers in other parts of the world are stepping into the void with innovative offerings. Furthermore, a case study of United Technologies Corporation’s adoption of XBRL (by bringing it in-house) shows that concerns regarding resources required, cost and technical proficiency were without basis. Further, applying XBRL technology and automating many of the manual assembly and review processes eliminated 150–200 hours of labor from the quarterly reporting process. It’s not just large, global multinational companies who can benefit. A small non-profit, that used software tools to transform internal accounting financial data into XBRL, then repurposed it in multiple formats for reporting, analysis, and publication—all in-house. When the project was complete, the non profit filed its financial statements in a structured format. This could also allow non-profits to file their Form 990, Return of Organization Exempt from Income Tax via XBRL turning a lengthy and arduous process into a very quick one. In addition to bringing the XBRL initiative in house, we believe two additional ‘best practices’ include implementing the use of Inline XBRL (iXBRL) and curtaining the use of extensions. Under iXBRL, all XBRL data are contained in ordinary, human-readable files. Because a single iXBRL report can be viewed on a screen and analyzed by software, no viewer is required to convert an XBRL filing into a human-readable form—resulting in cost savings. My belief is that regulators should curtail the current excessive use of extensions or custom tags that are not easily machine comparable and therefore hampers investment analysis. However, investors also need information that is entity specific in order for it to be meaningful to their financial analysis. We thus believe that it is necessary to allow for the use of company-specific extensions within a framework that restricts their use to rare circumstances. As noted in eXtensible Business Reporting Language: A Guide for Investors “Simply put, the automated relationships required by the computer remain: When a custom tag is inserted, the relationships remain intact and the numbers continue to sum up correctly.” This is a key issue around the world, so critical in fact that XBRL International formed the The Entity Specific Disclosures Task Force to improve the handling of entity specific disclosures, including defining when best to use extensions and to improve the comparability of extensions and the filings that use them. By following this prescription, filers and other organizations increase the likelihood that their structured data initiatives will provide the cost and efficiency benefits while offering greater transparency for regulators, investors and other users. Mohini Singh is director of financial reporting policy at the CFA Institute. She focuses on financial reporting and disclosure proposals issued by the FASB, the IASB, and others. Singh holds the Associate Chartered Accountant (ACA) designation. She can be reached at Mohini.Singh@cfainstitute.org. The CFA Institute paper: “The Cost Of Structured Data: Myth Versus Reality” is now available.